who stands next to you. that have the greatest worth." to high standards and results is nothing to apologize for. We are an organizational training, coaching and consulting firm. We deliver services across the Globe. We design and deliver innovative, relevant and purposeful performance development experiences that bring to life your organization’s desired outcomes. We invigorate corporate training and coaching. We believe leadership development, team development and executive coaching should link closely and purposefully to your company’s results; not an exercise in throwing ideas against the wall to see what sticks or what results the development experience might produce. If you aren’t clear on your training’s desired outcomes and content that’s fine—we can help you gain clarity. We deliver our greatest value to clients when we help them align the training they want with the results they seek. As our partner, you get to dial-up or dial-down the sustaining impact you want from the training. Some clients want a little impact, other clients want lasting impact. Training and one-to-one coaching are rarely ends in themselves; they typically serve a larger, results-oriented purpose. Yes, training—similar to the fishing pictures above—can be enjoyable, even constructive, as a standalone activity. But, shouldn’t your training investments be measured by the results they generate? How effectively are your current training initiatives achieving the results you intend? We work with a broad range of businesses of varying sizes and services. Some of our clients include Abbott, Novo Nordisk Pharmaceuticals, Intermountain Healthcare, and Eramet SA. Our consultants and trainers are accomplished scholar-practitioners with backgrounds in business, education and management. 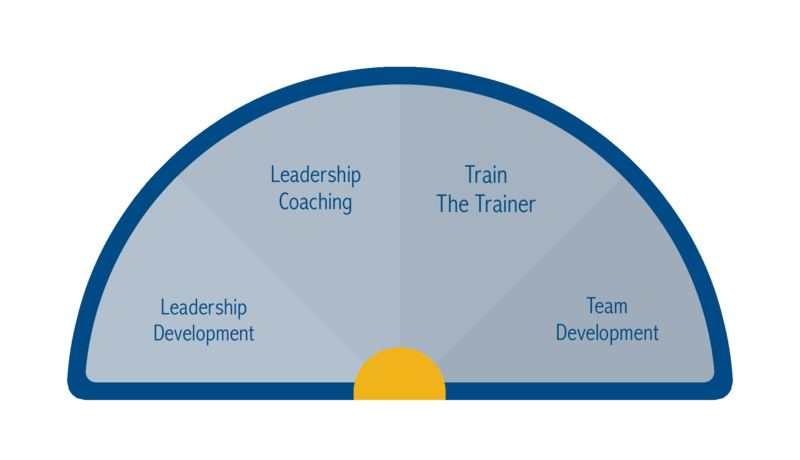 "We engaged Tom Ori and his NLP team to design and deliver our first leadership development program for high potential candidates. NLP effectively begins the design process with the end in mind – what specific competencies are we trying to improve and what does success look like in behavioral terms? The various learning activities were compelling and engaging, designed to reinforce learning objec..."
"Next Level Performance, led by Tom Ori, is a high caliber leadership, coaching, training & development organization which goes above and beyond to tailor its professional development to the individual needs of the client. I have been working with Tom and his staff for over a decade on a variety of leadership, coaching and developmental programs, and his company has consistently delivered big r..."
"I have engaged Tom and Next Level Performance on several occasions over the past 15 years. In each instance, that investment of both personal and organizational time was returned several-fold in the form of pragmatic, genuine and focused recommendations and highly effective interventions. If you're seeking a customized approach to driving change within your organization, Tom and his colleagu..."
"Rarely do the lessons of external partners become as ingrained in the practices and culture of a business as much as I have seen ours influenced by Tom Ori and Next Level Performance. Next Level has taught and advised our new and tenured leaders about strategy, execution and coaching in ways that I now see reflected consistently in challenging situations that were at one time significant obst..."
"As a newer sales leader in my organization, I know theLeadership Check-Up™ occurred at an ideal time with an ideal partner in Next Level Performance. Because the team at Next Level worked closely with me to target specific behaviors on which I wanted feedback, the personalized suggestions for moving forward we..."
"Having worked with Tom and NLP for about a dozen years now, I have countless examples of why I continue to recommend NLP to any organization that might benefit from 1:1 executive coaching or organizational development activities. Some of the most honest and direct discussions I have been a part of have been facilitated by NLP. They have a unique way of blending extreme professionalism and competen..."
"I am a Pharmaceutical Executive and have worked with Tom and his teams over the past 17 years in many capacities. Tom was first instrumental in helping me build myself as a leader and assisting me understand where I needed to focus my efforts in expanding my strengths and more importantly, identifying my blind spots. He is an ardent supporter of continuing personal development and has shown me, as..."
"Next Level Performance did what their name says: the customized Project Leadership Development program we did with them has taken our team to the next level. The NLP team was very involved and great to work in each phase of our training – from design, to implementation and follow up. There was a great balance of their multi-company and industry experience with the issues we faced and were trying..."
"I am the CEO of a medium-size-company. My company had been affected by market conditions as well as internal difficulties. I hired Next Level Performance to help the executive leadership team and me in a solutions brainstorming and path-forward session. The purpose was to be able to identify a new business model that would speed up the turnaround of the company. The meeting kept its promise. We ca..."